Jared Silver discusses five basic ideas about how we can work together to make the world a better place. Jared Silver is a teenage entrepreneur dedicated to making a difference. He lives his life by five basic ideas. 1. Doing things is not the same as getting things done. 2. If you're in your comfort zone, you're in the wrong place. 3. Don't follow the rubric. Follow your heart. 4. Don't just make a dollar. Make a difference. 5. The question isn't so much "Are we capable of changing the world?" as it is "What should we change first?" 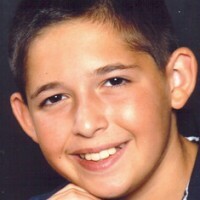 Learn more about Jared Silver by visiting him on the web at http://jaredsilver.name.